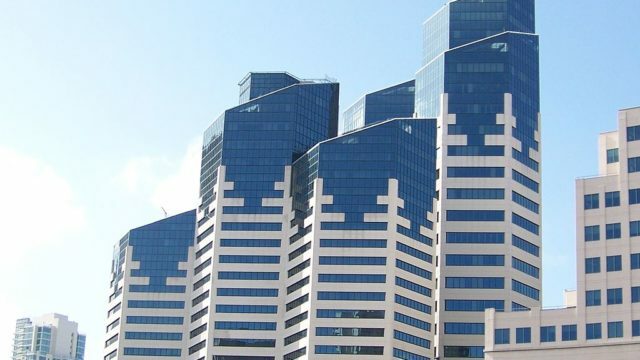 The distinctive Emerald Plaza office tower in downtown San Diego was purchased for $91.7 million by Los Angeles-based Kearny Real Estate, the company announced Wednesday. The transaction involves the 364,000 square feet of office space in the building that fills a city block at 402 W. Broadway, but not the 436-room Westin Hotel. Kearny Real Estate said 70 percent of the office space was leased when the sale closed. “This was a rare opportunity to acquire an irreplaceable asset in one of the best performing submarkets of downtown San Diego,” said Jeff Givens, Kearny Real Estate senior vice president. 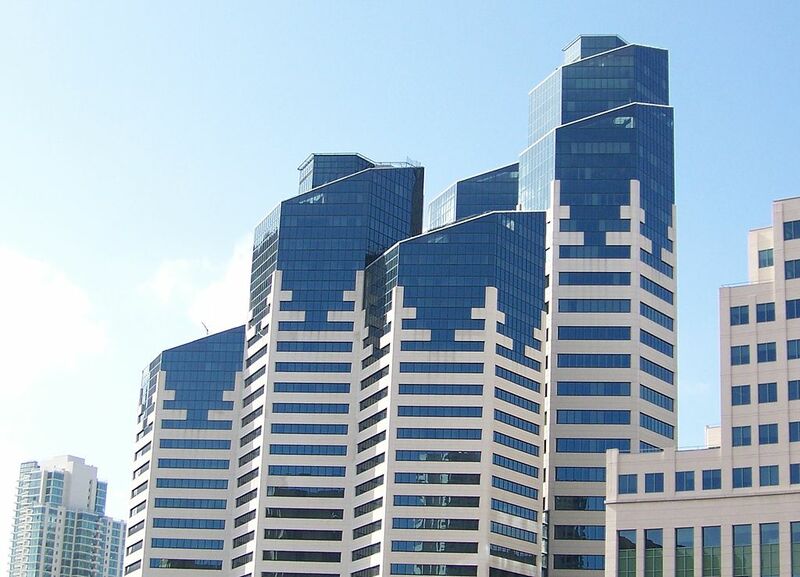 The building, known for its angled rooftops and green halo lighting at night, had been owned by Deutsche Bank since 2005. Kearny recently completed renovations of an office complex in Mission Valley and sold the former Union Bank building in downtown earlier this year.